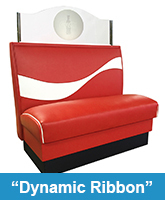 Our Coca-Cola Furniture takes things to the next level with our Coca Cola collection. Now the biggest fans and collectors can get everything they need at one place and for the most affordable prices. 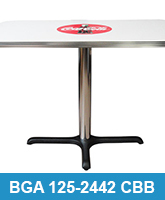 We offer Coca Cola Stools, Chairs, Booths, Tables, and more! 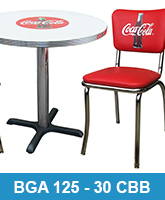 Just imagine a Retro Coca Cola Table in the kitchen, or vintage coca cola chairs in your man cave. 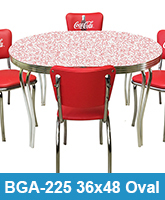 You can also check out our coca-cola tableware. 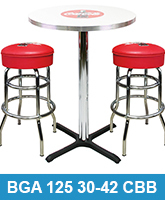 At Heffrons we can assist you with all of your Coca Cola Stools and furniture needs. Give us a call today or send us an email to get started!